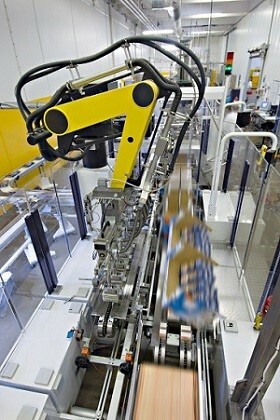 More than one billion products are inspected, evaluated, tracked and traced using Cognex systems every day. With a wide range of vision solutions already delivering exceptional quality, flexibility and profitability to global manufacturers, Cognex is inherently prepared to usher factory automation into an Industry 4.0 world. Cognex expects the application of machine vision systems to accelerate throughout the supply chain and in the operations of both new and existing vision users as they adapt to an Industry 4.0 environment. Cognex is investing in products that deliver many of the productivity benefits associated with Industry 4.0 described above. With these solutions already available, and many others in development, Cognex is prepared to meet the Industry 4.0 needs of its customers. Unlike nearly all the major automation suppliers, Cognex is focused solely on vision—inspection, guidance, measurement and identification—without a vested interest in promoting any specific communication infrastructure. Cognex Connect supports a wide range of protocols including EtherNet/IP, PROFINET, Modbus/TCP, SLMP, CC-Link, POWERLINK, OPC-DA, TCP/IP, SMTP and FTP. Cognex's business model and success is based upon the ability to provide and maintain connectivity to multiple protocols immediately and without intervention. Cognex makes significant investments each year in programming support to ensure that it is able to support the majority of communications platforms used by its customers. This innovative system offers manufacturers some of the Big Data benefits of Industry 4.0. Cognex Explorer Real Time Monitoring helps customers monitor performance and diagnose and resolve barcode issues in real time to achieve greater throughput. It also collects and grades the quality of barcode images and provides valuable process control metrics over time across an entire facility. RTM works in conjunction with a network of Cognex DataMan image-based readers that use powerful algorithms to read almost any barcode—even those which are damaged, angled, wrinkled, or occluded by glare. RTM's performance and code quality overview dashboards give the user the ability to track and analyze data such as read rates, 1-D and 2-D barcode image quality and positional heat maps in order to achieve higher read rates and peak productivity. DataMan barcode readers use state-of-the art, image-based decoding algorithms to read even the most difficult 1-D, 2-D and direct part mark (DPM) barcodes at industry leading speeds. DataMan automates and simplifies identification and data capture across a wide variety of complex industrial and business processes at every step, from fulfillment to delivery. In-Sight vision systems have built-in algorithms, eliminating the need for a separate PC, and can do all processing onboard for easier integration and greater stability. In-Sight architecture lets users direct the system to "learn" variations in printed characters and set up parameters automatically to accommodate them. PatMax is the industry's gold standard for part and feature location. PatMax learns an object's geometry using a set of boundary curves that are not tied to a pixel grid, then looks for similar shapes in the image without relying on specific gray levels. The result is a revolutionary improvement in the ability to accurately find objects despite changes in angle, size, and shading. Vision-enabled barcode readers with the ease-of-use and cost of laser scanners. Ideal for solving error-proofing applications; set new standards for value, ease of use and flexibility.